You might also like to check out his TED talk. This Health Blog is more a discovery with what’s wrong with the industry and less about what’s right with it. The Health Industry produces so much data, that it’s easy for the numbers to be misused for private gain. Ben is a sceptic first and a general do-gooder as a very close second. He is a prolific writer and appears to have an ever busier public schedule. Right or Wrong, Ben’s message is important. Don’t believe everything you hear in the news regarding health science as sometimes it’s just a story optimised to sell more advertising. How they Make Money: – Ben has become an authoritative figure in this space and sells books and merchandise on this blog. medgadget.com – Soon after the web page loads you instantly get the feeling that this health blog is about ‘Tech’ Health. 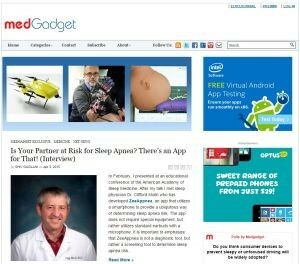 Medgadget is an independent publication edited and published by a group of MDs and biomed engineers, and it’s quite a long list. This blog’s niche is clearly the biomedical industry influencer and not so much for the everyday home body. Although, those fascinated with new medical technology and breakthroughs would find it a good read. I’d say the format for this blog is news site or magazine layout, and the ad placements and persistent newsletter pop-ups support that theory. 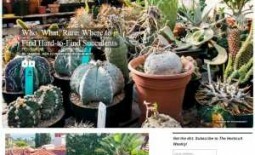 How they Make Money: – There appears to be a sponsored post feel to some articles and they run a number of banner ads. 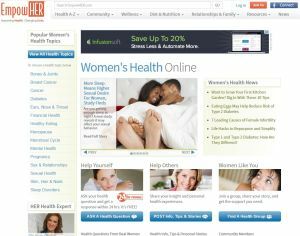 empowher.com – This health blog provides it’s readers access to women’s health and wellness content libraries, as well as an online community of women discussing their health and wellness issues. The owner Michelle Robson got sick after an operation and the doctors didn’t understand what was wrong and just kept trying medication until one day Michelle found a doctor that did understand. This blog was born from that frustration where there is not enough information for women’s health. There are plenty of great health tips, and a useful Questions and Answers section, and although relevant to women they discuss plenty of health issues that also affect men, but the blog name does really imply that. 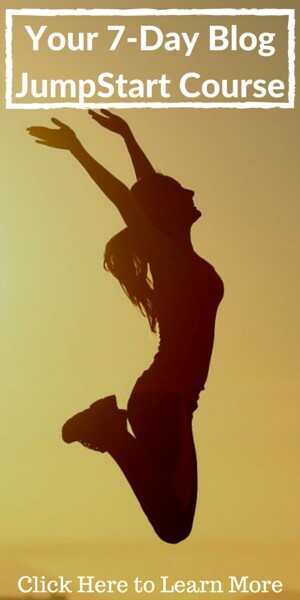 Generally it appears to be a great resource blog for womens (and mens) health. How they Make Money: – This is a professional site similar to about.com so there are a lot of sponsored ads on site and within the newsletter. 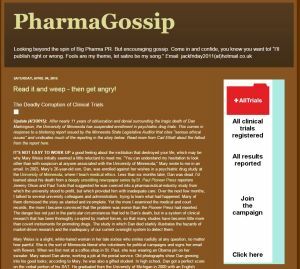 pharmagossip.blogspot.com.au – Looking beyond the spin of Big Pharma PR is the catch cry of this sceptical view of health. The author ‘Jack’ as he wishes to be known has a long history of blog posting and has an eye for the Pharmaceuticals Stories that just don’t seem right. The blog posts are extremely detailed and each have a conspiracy theory about them. Although the author provides a lot of detail, it could be seen as just another spin on the original story. It’s a grey area when you start to blog to conspiracy theorists because, by nature they are also sceptical about your words. Conspiracy Theories are probably one blog topic worth staying away from. 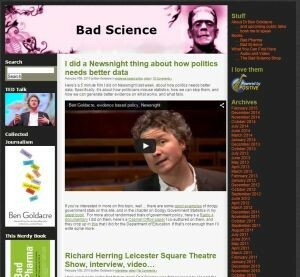 How they Make Money: – I small banner ad, sponsored link and a donations button. 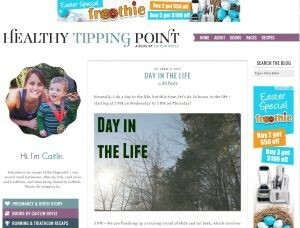 healthytippingpoint.com – This healthy lifestyle blog is a more traditional personal blog. Caitlin Boyle started it by documenting her healthier, happier and more balanced life and it has grown from there. I think we all have a tipping point to lead a more healthier lifestyle, and Caitlin found hers quite early on. This health blog is filled with some great healthy recipes and as you follow Caitlin’s journey, you’ll discover some practical and easy health tips along the way. I get the feeling reading these posts that Caitlin’s success is because she inspires others to be healthy and the usual excuses are debunked because she is a Mom and wrangles kids each and every day. Despite having an extremely busy family life, she has been able to make ‘Healthy’ work, plus she has even found the time to do a few triathlons and write a few healthy living books. If you have time, check out the Naked Face Project, as it’s very inspiring. 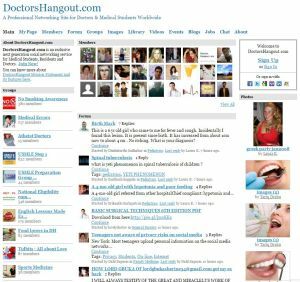 doctorshangout.com – Doctors Hangout is like the social network for doctors before social networks became mainstream. Touted as an exclusive next generation social networking service for Medical Students, Residents and Doctors. There is extensive information on research and helpful tips for anyone in the medical profession. All the Social Groups seem well filled and the library is also well stocked with journals and medical references. You can find jobs, events, videos and a forum. The site has been around since 2005 and the blog has a steady 4700+ posts already. This is the stuff that search engines love, so I expect a lot of organic traffic reaches this site. How they Make Money: – There is very little direct advertising going on , expect for a few banner ads. 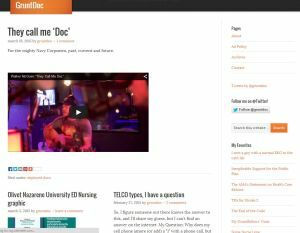 gruntdoc.com – And now for something completely different, a health blog written from the eyes of a Navy Doctor. GruntDoc, as he was called in the Navy , is no longer on active duty and now finds himself in the busy emergency room of a local hospital. Although the tales on this blog are not completely medical related. This blogger is currently taking a little hiatus from long form blogging right now, but due to the 10+ years this blog has been running, it goes to show how the organic traffic just continues to flow. All that is needed is a few posts here and there to let Google know the site is still active. How they Make Money: – He uses private ad publishing using OIOPublisher. 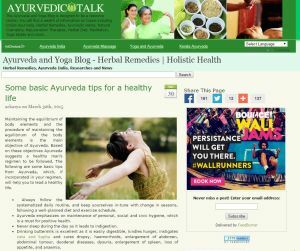 ayurvedictalk.com – Ayurvedic Talk is a yoga blog devoted to mind, body, spirit and holistic health. It’s popularity must come from the walls of text that make up each post, and would surely be getting a lot of love from the long tail that walls of text provide. There are a lot of detail in the posts, but they read like medical journals, so can be a little boring, but thanks to a search button you can type in any health related term and get a number of blog posts back. I even started a game to see if I could find a search term on health that didn’t exist. Sadly I couldn’t. How they Make Money: – Ads in the search results, well placed text ads where you’d expect a menu to be and general banner ads. 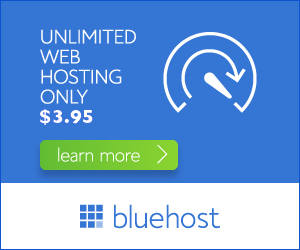 This site is optimised for ad conversions. 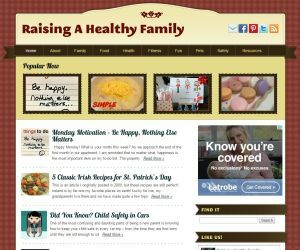 raisingahealthyfamily.com – From the get go, this health blog, feels homely like a fresh baked apple pie. The Mom author aims to provide tips, resources and stories that contribute to raising a happy, healthy family and as she says it’s an ongoing process. You could spend months on this site, gathering information on cooking, fitness, fun and general health and all posts are in digestible bites. The resources are plentiful and are in multiple categories so you aren’t overwhelmed. This is definitely, an example of a life’s work being documented via a blog. How they Make Money: – Product Sponsorship, Amazon Affiliate links and Google Ads. 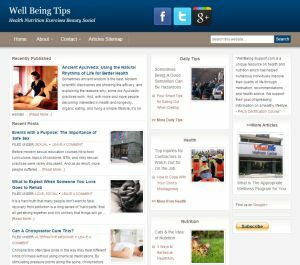 wellbeing-support.com – This blog looks to have faced a branding change whilst maintaining the existing domain, as it is titled ‘Well Being Tips’ which could because they are following a SEO strategy. Further investigation shows this might be the case. Similar to the Ayurvedic Talk blog I profiled earlier, this too has walls of text, and is a professionally written blog to gain the advertising proceeds from organic traffic. I say this because of this disclaimer at the end of one of the posts. There is nothing illegal with taking information from the web and curating it into your own opinion as long as it’s not directly plagiarised. As you can see the ghost writer was given some key words (‘Good Samaritan’, ‘car accident’ and attorney) to research and form this post. I suspect the rest were exactly like this. Again this blog is popular based on the volume of content and not necessarily it personality or style. 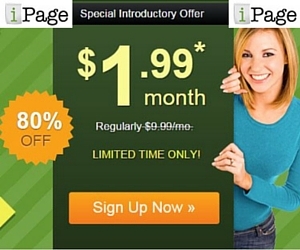 How they Make Money: – There is a simple affiliate link on the site. Surprisingly, they aren’t taking advantage of the Google Search ad revenue. Perhaps they were banned from Google, because this does seem strange to me. So there you have a few blogging gems to consider if you are looking to start a blog in the health field. As you can see there are a variety of ways you can position yourself and any of these way could be successful over time. 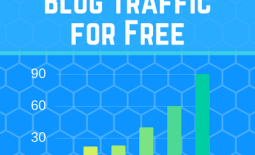 But, that is pretty much the story for any blog type, time is your friend so the sooner you start the quicker you’ll be taking advantage of the free organic traffic. If you enjoyed this post then please share and spread the love or check out one of my other A-Z Popular Blog Site reviews. 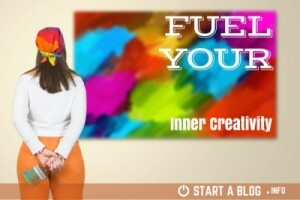 Share the post "10 Health Blog Sites worth reading and how they Make Money"